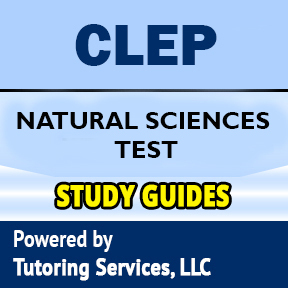 The Natural Sciences examination covers an extensive variety of subjects habitually taught in initial courses studying both organic and physical sciences at the first year recruit or sophomore level. Such courses by and large fulfill conveyance or general training necessities in science that more often than not will be not needed of nor taken by science majors. 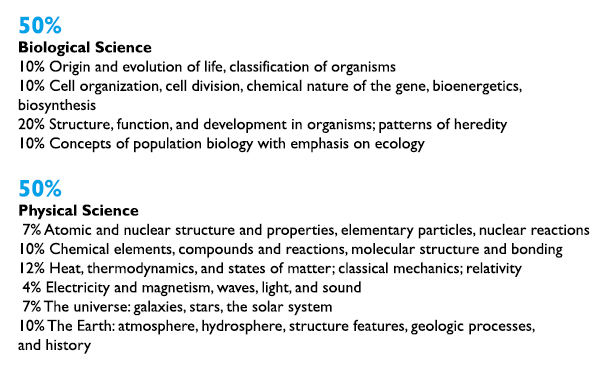 The Natural Sciences exam is not planned for those works in science; it is expected to test the comprehension of exploratory ideas that a grown-up with an aesthetic sciences instruction ought to have. It doesn't push the maintenance of authentic points of interest; rather, it underlines the learning and utilization of the essential standards and ideas of science, the perception of investigative data, and the comprehension of issues of science in contemporary society. The essential goal of the examination is to give applicants the chance to exhibit a level of information and comprehension expected of undergrads meeting a dissemination or general training necessity in the common sciences. An organization may concede up to six semester hours (or the proportional) of credit toward satisfaction of such a necessity for palatable scores on the examination. Some may allow particular course credit, on the premise of the aggregate score for a two-semester review course covering both organic and physical sciences. The examination contains more or less 120 inquiries to be replied in an hour and a half. Some of these are pretest inquiries that won't be scored. At whatever time applicants spend on instructional exercises and giving individual data is notwithstanding the genuine testing time. SELECT a.id, a.book_title, a.description, a.ad_image, a.image_tag, a.isbn, a.asking_price, a.book_condition, a.book_store_url, a.sg_type, a.url_path, c.subject_id, c.subject FROM tbl_used_book as a, tbl_booksubject_description as b, tbl_level_subjects as c WHERE a.exam_code = "clep-natural-sciences-exam-eligibility" AND a.subject_id = b.subject_id AND a.subject_id = c.subject_id AND a.is_available = "1"